the Vedanta controversy has acquired yet another twist, with the Orissa government trying to acquire more land in Kalahandi district's Lanjigarh block, the place where the company's one million tonne capacity alumina refinery is located. But there is confusion whether the land is for the refinery, which is already into production, or the move is a hush hush attempt at grabbing more area for bauxite mining, for which the company is yet to get the lease. 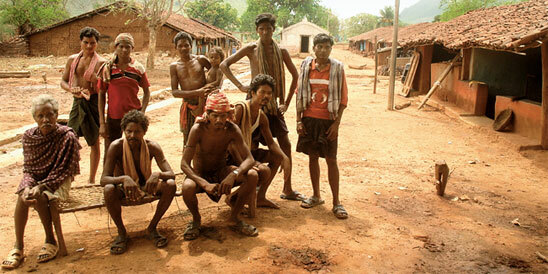 People belonging to the Dongria Kondh tribe in the region are opposed to mining in bauxite-rich Niyamgiri hill, for they consider the mountain sacred. The case is in the supreme court. The Kalahandi tehsildar's office issued advertisement notices on December 18, 2007, stating that 6.4 hectare (ha) at Palbira village and 6.8 ha at Phuldumer are required for the construction of the Lanjigarh alumina refinery. But doubts remain because the two villages in the foothills of Niyamgiri are 10 km from the plant site and in opposite directions. "All this is government land but it is not contiguous to the plant," said tehsildar Gopal Swami Naidu. It could be for mining purposes, he added, but clammed up in response to further queries, saying his job was limited to issuing the notice because the Industrial Infrastructure Development Corporation of Orissa (idco) "gave us the requisition to alienate the land". Ashok Dalwai, industries secretary and idco chairman, said he was not in a position to comment on the issue and referred this correspondent to joint secretary, industries, D P Roy, who too did not have a definite answer. According to Vedanta's communication consultant Kishore Chandra Das, the company was supposed to get around 890 ha, of which nearly 647 ha was government land. He said though the government had acquired the bulk of it, some might have been left. Land acquisition officials at Bhawanipatna, the district headquarter of Kalahandi, also appeared to be all at sea. With officials remaining tight-lipped, suspicions arise. Says Khirabdi Sahu, former chairperson of the Lanji- garh Panchayat Samiti: "Company officials are apparently confident of obtaining the mining lease, so they are trying to take land for mining in advance. They may even start mining on the quiet." The move has left the Dongrias and harijans in the two villages fuming. "There is no way we are going to leave. This mountain is our mother, it has sustained us for generations," says Gata Majhi of Palbir, who has sent her objections to land acquisition to the tehsildar . "Why else would they need this land? They want to dig up the hill for that red stone (bauxite)," adds Gariya Majhi of Phuldumer. Interestingly, though the notice was issued on December 18, it reached the people much later, and illiterate as most of them are, they were unable to make sense out of it. "We came to know about it on January 12 through the husband of the naib sarpanch of Trilochanpur," said Gata Majhi. Kalahandi district mining officer Dilip Kumar Parija says the steel and mines department has not granted any mining lease to either Vedanta or the Sterlite company in Kalahandi. "So where is the question of land being acquired for mining?" he asks. He may be technically correct, but activists of Green Kalahandi, the group spearheading the movement against the refinery, and people in Lanjigarh remain sceptical.